The new agency will have around 1,800 staff, and offices in 15 countries. We’ll be talking to the new company once the dust has settled to get the inside track. There’s more information from Andrew Girdwood on the Bigmouthmedia blog, and a summary of the financials can be found here. It appears to be a big deal that makes sense, as far as I can tell, and I personally feel that this may mark the start of a wave of consolidation in agencyland. Your thoughts? 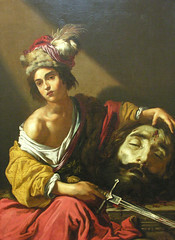 Social media is increasingly the battlefield for disputes between David and Goliath. Thanks to the spotlight that social media tools like Twitter and Facebook can shine on these disputes, individuals have more power than ever to get companies to acknowledge their complaints and resolve disputes out in the open. But that power can be deceptive. Despite the fact that social media can pressure companies to deal with sticky situations in a more even-handed fashion, individuals often waste the opportunity.